Let's talk HAIR. 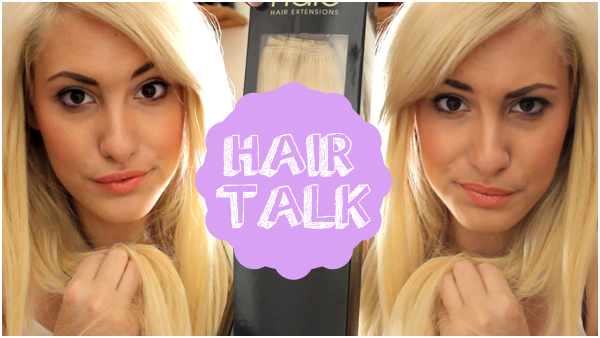 Ever since being a blonde, I have always had friends, clients and strangers asking me questions so I thought i'd sit myself down and film a quick video stating some facts about my hair. I filmed at the worst time ever as I was dying in the heat but thankfully I tried to keep it sweet and short. 1. To keep your blonde hair from dis-colouring use a purple shampoo once a week. 2. When using extensions, if it doesn't match to your exact colour, take them to your hairdresser. My first batch that wasn't from Halo Hair Extensions were slightly darker and we used a toner to match them perfectly. 3. Deep condition your hair at least once a week or once every 2 weeks, we are using bleach on our hair so we need to take extra care. 4. Try and use less heat and always use a styling product prior. I don't use straighteners or curlers as much as I used to back in high school believe it or not. If you have any questions, feel free to ask or leave a comment below.